Sam Houston Moore was born February 11, 1890 in Moody. He was educated in the public schools of Moody, and later at Toby’s Business College of Waco. 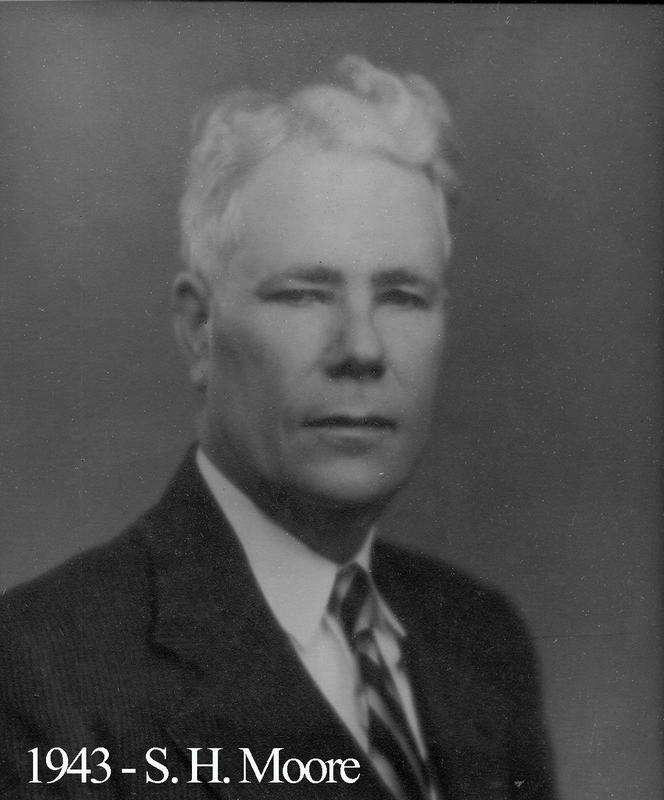 He made his business career in general office and executive work and for several years he was Secretary and Treasurer of Robinson Packing Co. Inc. of Waco. Moore rose all the way to part-owner of the firm until he and his partner chose to liquidate it in 1958. Brother Moore was active for years in the officer duties and Sunday School Department of Austin Avenue Methodist Church. During his term as Master, Waco Lodge was in the midst of the hectic days of World War II and the schedule was very heavy.